Crochet Grocery Tote Bag – The inspiration behind the writing of the grocery tote pattern was from my many visits to my supermarket and not having a handy bag to put my bits and pieces in, but you can use it for anything not just the groceries. You can change the size by adding more rows if you wish. This entry was posted in crochet bags and tagged crochet, crochet bags, crochet tote bag, tote bag on 4th August 2018 by crochetncreate. A sweet little crochet ribbed wrist purse, these purses have become very popular lately for carrying those little necessities or as a fashion accessory, carry your lip balm, small bottle of scent, lipstick etc. or even your money. I have designed this one in a ribbed sc stitch using worsted weight yarn, it has created a thick chunky feel to it. 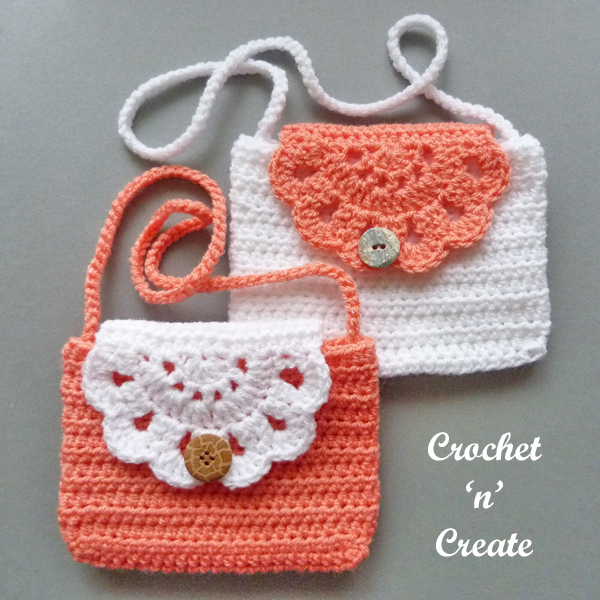 This entry was posted in crochet bags and tagged crochet, crochet bags, crochet purse, free crochet patterns on 1st December 2017 by crochetncreate. Make this market tote bag and save on plastic shopping bags, it is made in a fairly close stitch to avoid things poking through, hope you enjoy this fun and purposeful project! This entry was posted in crochet bags, free crochet patterns and tagged crochet, crochet bags, free crochet patterns, tote bag on 24th October 2017 by crochetncreate. A sweet and feminine tulip wrist purse, designed to keep loose coins or girlie knick-knack’s in. Made in close stitch with instructions of when to change color etc. I have made the samples in light worsted weight yarn using a 4.00mm hook, but you can make it bigger with a thicker yarn and larger hook. Hope you have fun and enjoy it. 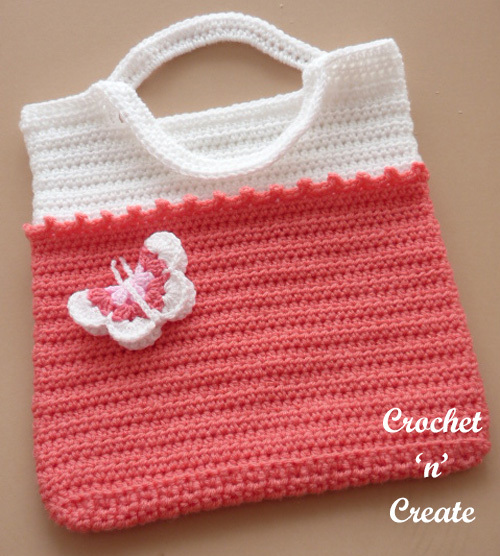 This entry was posted in crochet bags, free crochet patterns and tagged crochet, crochet bags, crochet for girl's, free crochet patterns on 29th June 2017 by crochetncreate. 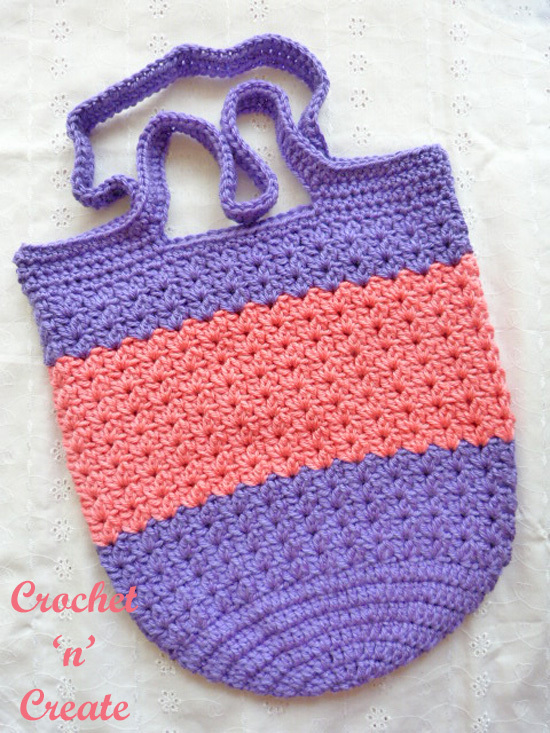 Simple but beautiful, an all purpose tote bag you can use for the beach, shopping or just to store your crochet projects in. It is worked from the bottom upwards in rounds and made in Lion Brand #4 yarn using a 5.50mm hook, so the bag will crochet up in no time at all. 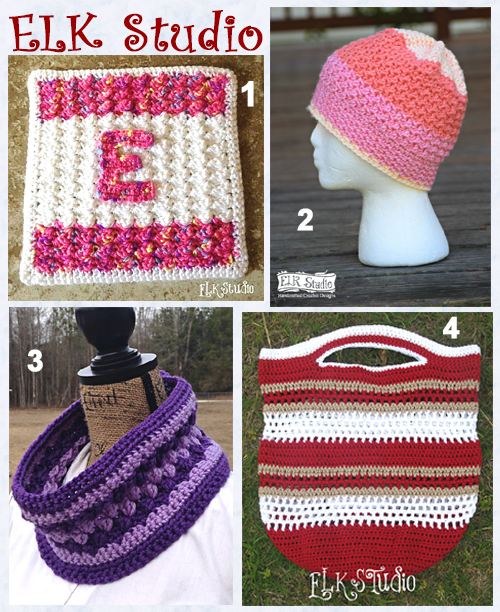 A lady just cannot leave the house without her bag, so lets get — crocheting! 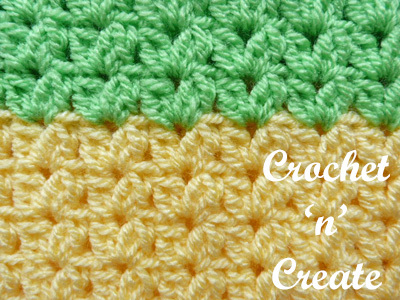 This entry was posted in crochet bags, free crochet patterns and tagged crochet, crochet bags, crochet for ladies, free crochet patterns on 11th May 2017 by crochetncreate. 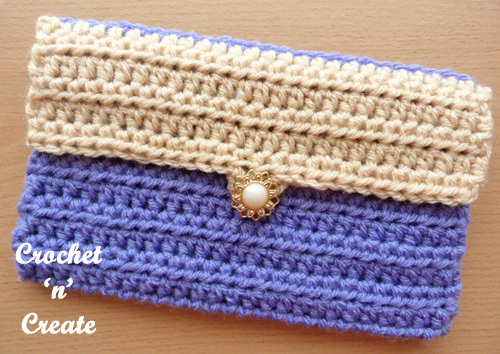 A simple to make clutch purse that is functional, it’s made in an easy stitch, so is ideal if you are a beginner crocheter. 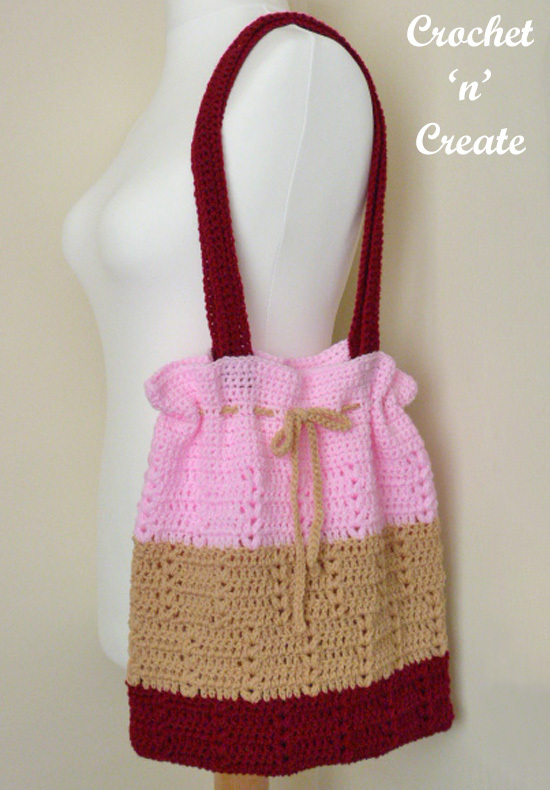 There is only a small amount of sewing involved, you can crochet it up very quickly (I made it in a morning), make the main part of the purse in one solid color and the flap in a different color to match your outfit. It will add a touch of glamour and fun. Crochet for summer evenings to carry your necessities in. 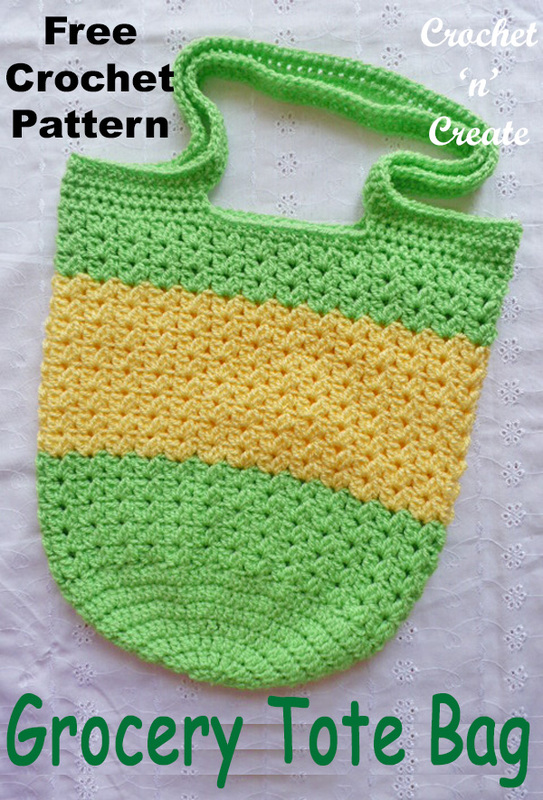 See my free Multipurpose Tote Bag pattern. 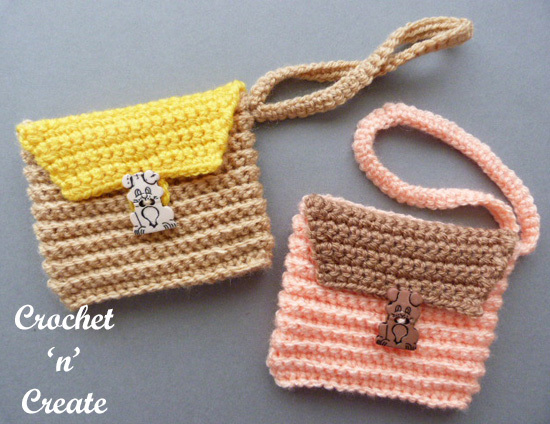 This entry was posted in crochet bags, free crochet patterns and tagged crochet, crochet bags, crochet clutch purse, free crochet patterns on 13th April 2017 by crochetncreate. which would you believe is in just two weeks time. Making the baskets yourself and hiding them around the house for an exciting egg hunt makes it just that bit more special, they are the perfect size and can also be used afterwards to fill with little treats for all year round occasions. 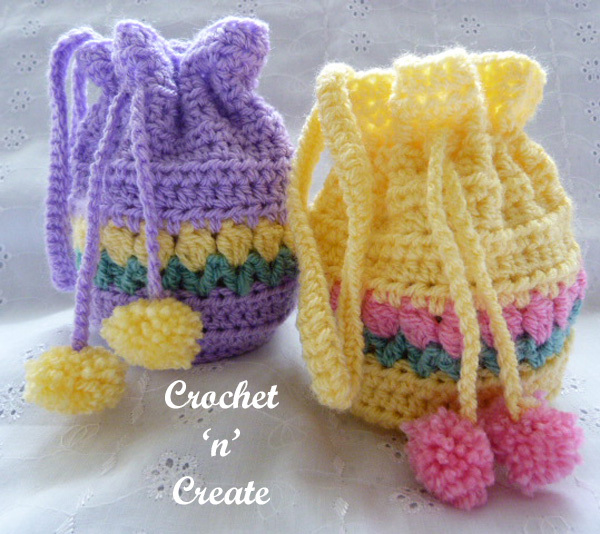 These baskets will look good as decorations for Easter even if you don’t have children around. 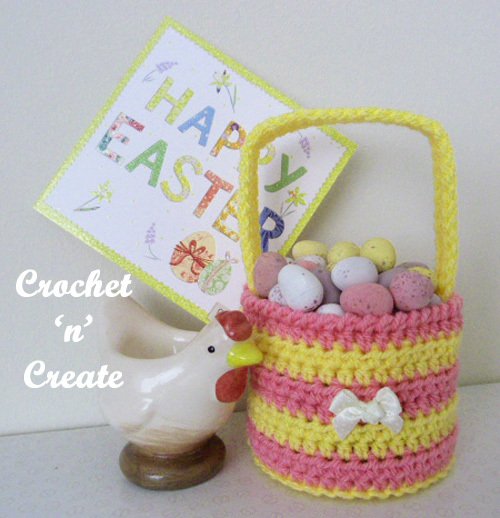 This entry was posted in crochet bags, free crochet patterns, Miscellaneous Crochet and tagged crochet, crochet bags, easter crochet, free crochet patterns on 4th April 2017 by crochetncreate.